Combining PNG files into one multi-page PDF document means a lot of manual edits and adjustments and need in a few programs. 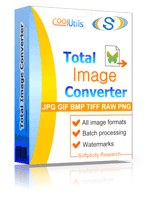 Far simpler approach is offered in Total Image Converter. You just take PNG sources from your memory folders, set the formatting for future PDF file, and the program does the rest, outputting a PDF document that contains all original images. In order to combine all PNG images into one PDF document, you should check off the second option. 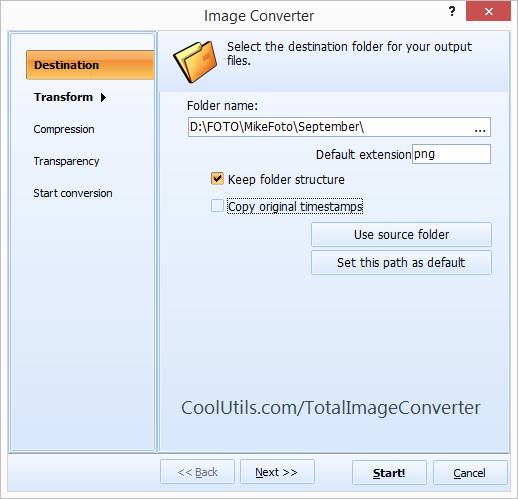 The first one will convert images separately, the third one combines images from one subfolder into one PDF file. The last one combines images that have the same name part together. 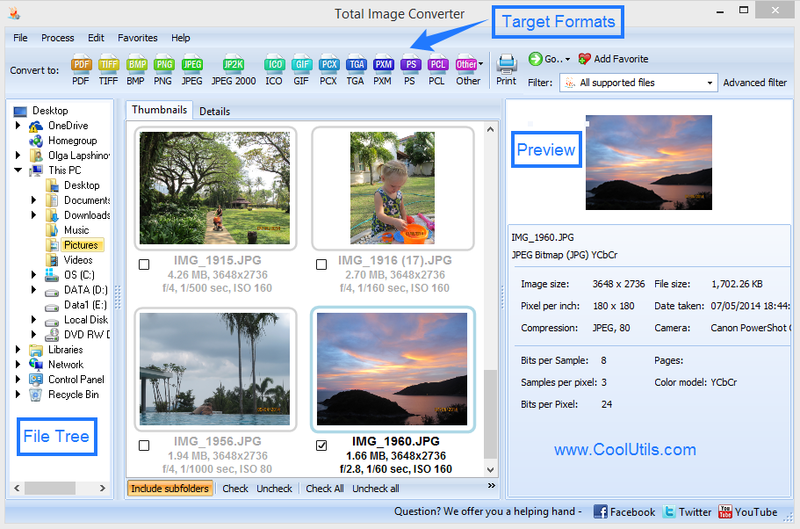 You will see a range of other settings that will help to gain exactly the formatting you need. After all preparations are finished, press Start!, and in a few seconds the program will give you converted PDF file. -cimt onefile attribute is responsible for combining all sources into one PDF file. As the program is available in 30-day free trial, you can test both modes right now. Try this!